Being in the limelight and making yourself worthy of the stares of viewers has become the main attraction for most of the women. Some women can go beyond limits to get all the attraction. Julia Gnuse from the US is also known as the Illustrated lady. She has covered her entire body from tattoos. Her 95% of the body is covered from the tattoo. She is 61 years old but looks nothing like it. Elisany da Cruz Silva is a Brazilian woman who has a height of 6.9 feet and is the tallest lady on Earth. She suffers from tumor on her pituitary gland and this resulted in her tall height. 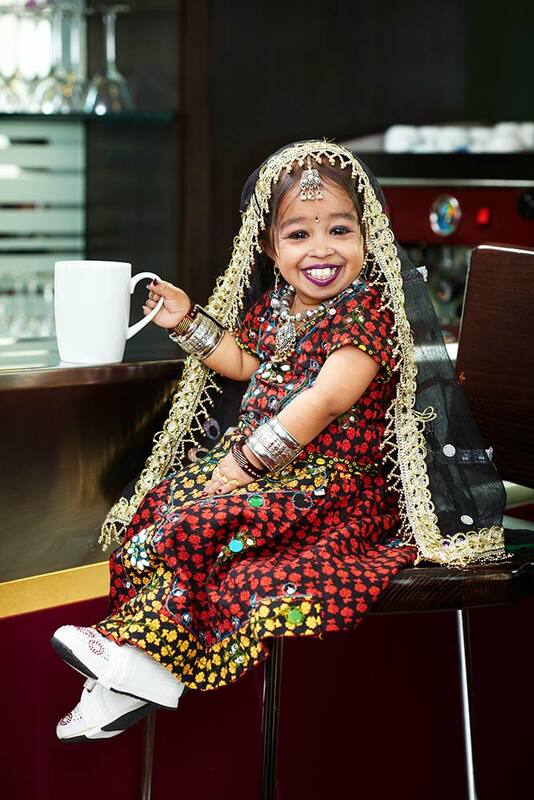 The Indian woman Jyoti Amge is the World’s shortest woman and has her name in the Guinness World Records. She is 62.8 centimeters tall. Her height is restricted as she suffers from growth abnormality called achondroplasia. Kim Goodman is a scary woman as she can pop out her eye sockets by 12 millimeters. She can give chills and also holds a World record for farthest eyeball protrusion. Valeria Lukyanova is the human Barbie doll. She has been under the scissors many times to get the look. She has had breast implants and follows a special diet and hits the gym daily to maintain her Barbie-like looks. She was born in Moldova and now is living in Moscow. Mandy Sellars is a woman from Lancashire, UK and has extremely large legs. She suffers from a disease called Proteus syndrome whereby it causes huger lumps to erupt on the skin and the bones deform and thicken. This disease affects very rare people and presently only 120 people are known to be affected by it. 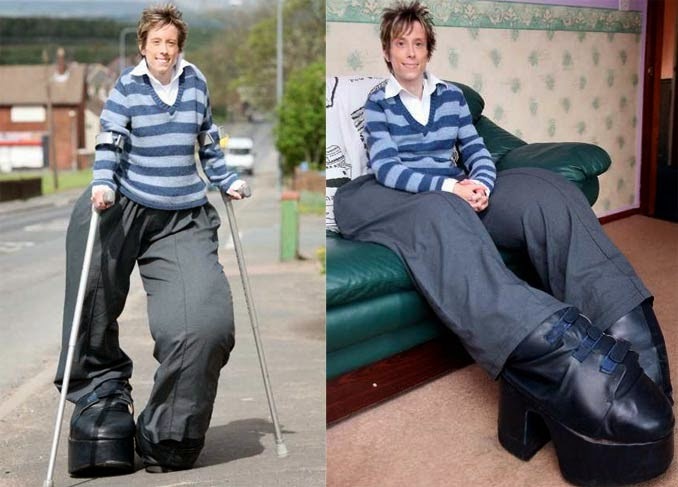 Due to this syndrome, Mandy got the largest legs in the world. Lauren Williams has extremely long legs that measure 49 inches. She has World record to her name for her long legs. Aevin Dugas is the Guinness Book of World Record holder for being the woman with longest natural Afro. It took her 12 years to grow her hairs and presently her hairs her 4 feet and 4 inches long.